#479 • Berry Bros. & Rudd Orkney Islands 1999 KWM Cask - Whiskey lé Vigneault? Another solid traffic jam that we had when we visited Québec Whisky de Andrew Ferguson, chief guru of Kensington Wine Market of Calgary, here is an "Orkney Islands" 1999 distributed by Berry Bros. & Rudd for the KWM. Orkney Islands is not a distillery in itself, but it's a nice disguised way to iron the stock without naming it. We are right to think that it was perhaps part of the deal between the distillery and Berry Bros. & Rudd. There are (as yet) only two distilleries on Orkney, Scapa and Highland Park. If we play it Sherlock and trust our nose, we get right here at Highland Park in good standing. Champagne is a wine used to baptize vessels to give them a lot of moss. Cream, grass and malt. Citrus, light heather and meringue. Almonds, vanilla and sugar butter. Alcohol is incredibly devious. Honey and vanilla, grass and heather, powdered sugar. Extremely floral. We finish with the spices of the cask strength, which delivers us a plank of oak barely wet with sherry. Mellow, woody and spicy. The rest of the flavors are driven by the degree of alcohol that is less aggressive than one might think. An excellent Cask Strength that was again brilliantly selected by the experts at Kensington Wine Market. Judge for the Canadian Whisky Awards. 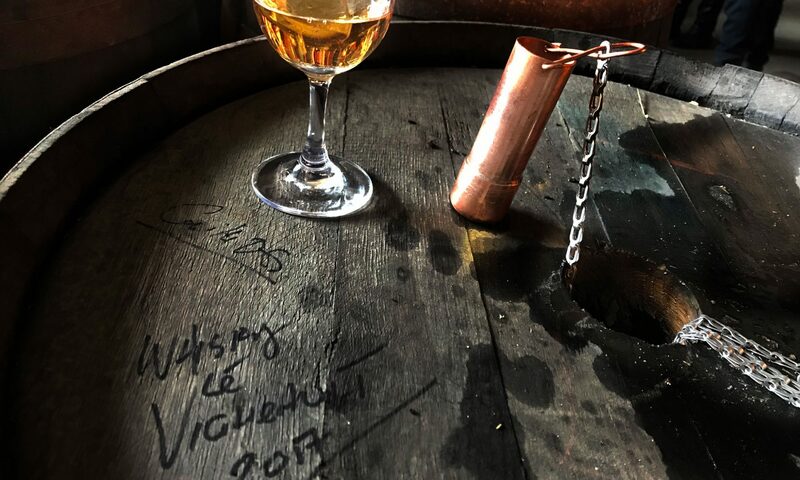 Following the good advice of some amateurs of my entourage, I decided to start this blog in order to catalog in the same place all my tasting notes and my thoughts relating to the intoxicating and fascinating world of whiskeys. After more than 5 years of activity, I guess I may have become more or less an expert in the field! The best whisky? The one I have not tasted yet! - I have taken more out of alcohol than alcohol has taken out of me. Good reading and especially, Sláinte! Do not hesitate to contact me for any request, question and / or comment!